Cape Town - Senior Manchester United sources have stated Jadon Sancho will not be leaving Borussia Dortmund this summer. The Red Devils continue to be linked with a £100m bid for the exciting England winger, who starred for the Manchester City youth ranks before quitting for the Bundesliga two seasons ago. However, powerbrokers at Old Trafford are already assessing other targets and are confident the 19-year-old starlet will not be sold before the start of the next campaign. There are even suggestions Sancho is set to be rewarded soon with a new pay deal at the Westfalenstadion, to keep the youngster focused solely on his football. 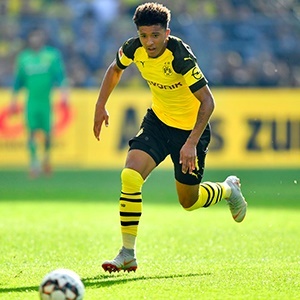 United boss Ole Gunnar Solskjaer is a massive fan of Sancho, but the Manchester giants have good relations with Dortmund and appear to have a decent steer on the present situation. Sancho is happy in Germany and his club have recently made it clear to both the player and his advisers they have absolutely no intention of sanctioning a sale in the coming months.